Fort Lauderdale, FL – Gas prices increased for the seventh consecutive week last week, going up another two cents per gallon, on average, according to the U.S. Energy Information Administration. 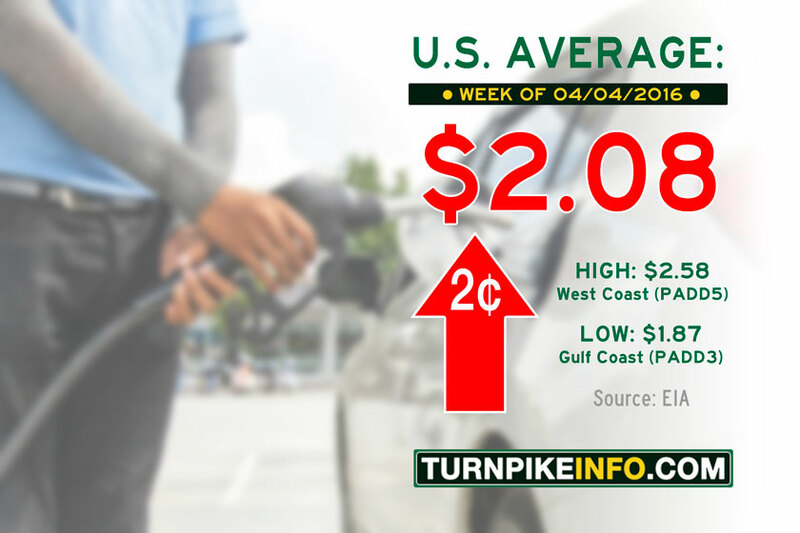 The national average is now $2.08 for a gallon of regular unleaded, according to the EIA’s weekly petroleum report, which also shows the pace of price increases slowed during the past week. The weekly EIA report shows diesel prices, overall, remained flat during the past week, with prices remaining stable in nearly all regions, although the report showed declines in the midwest and gulf coast states, with a 3-cent increase for the rocky mountain region.